THIS week for blog I am featuring this beautiful 2014 Maserati Quattroporte GTS. 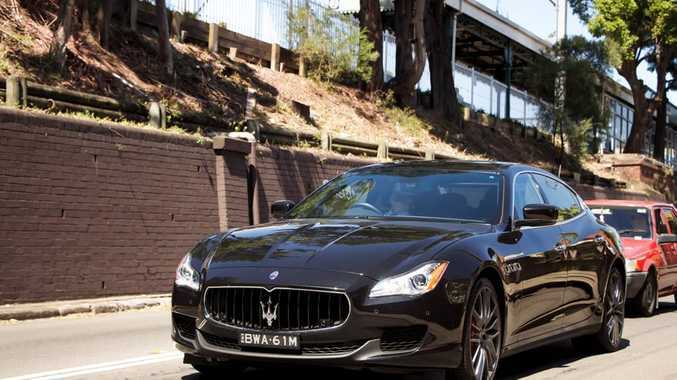 This GTS model is equipped with the most powerful engine Maserati has ever put in a Quattroporte, a 3.8-litre twin-turbocharged V8 which can produce up to 395 kilowatts (530 horsepower) at 6500rpm and 710 Newton metres of torque (524 pound-feet of torque) at 2000rpm. This is 60 kilowatts and 200 Newton metres of torque more than this models predecessor, the Sport GT S.
Connected to this incredible engine is a ZF eight-speed automatic transmission, with huge aluminium shifting paddles behind the steering wheel for manual control. This new Quattroporte is also just more than 90 kilograms lighter than the previous model, weighing in at a claimed 1900 kilograms. Once it hits 100 kilometres per hour, it will keep accelerating until it reaches its top speed of 307 kilometres per hour (191 miles per hour). The first ever Maserati Quattroporte was built in 1963 and it featured a 4.1-litre V8 that could produce 191 kilowatts (256 horsepower), a little under half of what the new one has. Maserati then went on to create three more versions of the Quattroporte and in 2003, they launched the fifth version, and it was one of their most popular models ever. Production ended at the start of 2012 as the sales began to drop, and then a year later they launched the model I'm featuring today, the sixth generation Quattroporte at the North American International Motor Show in January last year. Some other features that this 2014 Maserati Quattroporte GTS is equipped includes 20-inch 15-spoke alloy wheels wrapped in performance tyres, rain sensing wipers, a power glass sunroof, power rear and side sunshades, double-wishbone front suspension and multi-link rear suspension, a front and rear stabiliser bar, four-wheel ABS as well as traction and stability control, a post-collision safety system, xenon self-levelling and dusk-sensing headlights, electronic brake force distribution, a leather interior with front bucket seats, dual-zone climate controls, carbon fibre trim throughout the interior, a 8.4-inch touch-screen in the centre console with satellite navigation and much more. 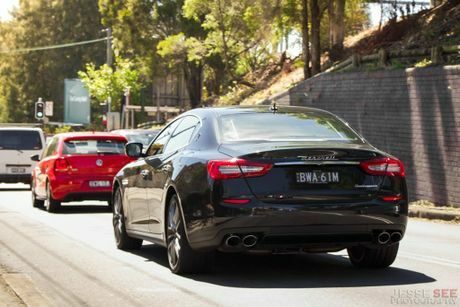 You can currently buy a 2014 Maserati Quattroporte GTS for an RRP of $319,800 plus on-roads.